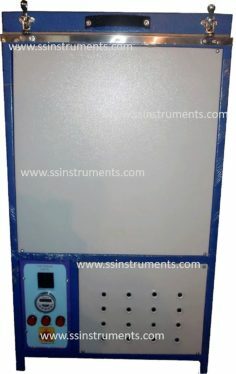 Cold Chamber (Horizontal Model) - S.S. Instruments Pvt. Ltd. When the Cables / Electrical Equipment are subjected top extreme cold for a considerable duration of time, they may become hardened and stiff. Such hardness and stiffness cause cracking of the insulation or sheath and may lead to failure of cable / equipment. The extent and type of change that takes place depends upon the severity of exposure of the sample to cold temperatures. 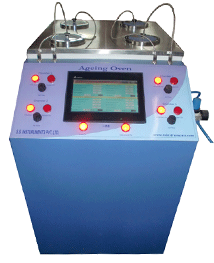 This test makes an assessment of change in equipment performance by subjecting them to accelerated ageing in very low temperature. 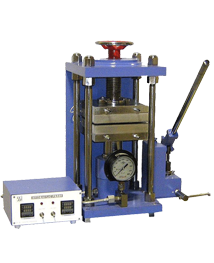 The Cold Chamber (Horizontal Model) is available in temperature range for – 20oC to – 80oC. Standard refrigeration system to maintain low temperature. Microprocessor based temperature controller for accurate temperature and longer compressor life. Uniform capillary distribution on the surface of chamber for better / faster and uniform cooling.